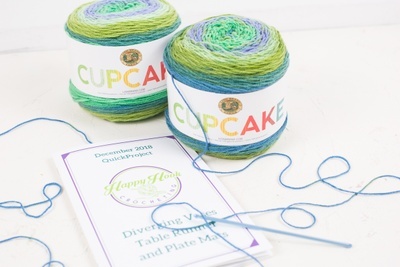 Enter your email address below to receive a notification when Happy Hook Crocheting starts accepting new sign-ups! 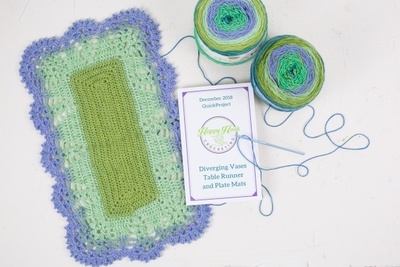 Enter your email address below to receive a notification when Happy Hook Crocheting is accepting new sign-ups again. We ship between the 2nd and 4th of every month! Your subscription of the BlanketBox will ship every 3 months depending on when your subscription started. For example: if you received your first box in January, you will receive the next box in April. 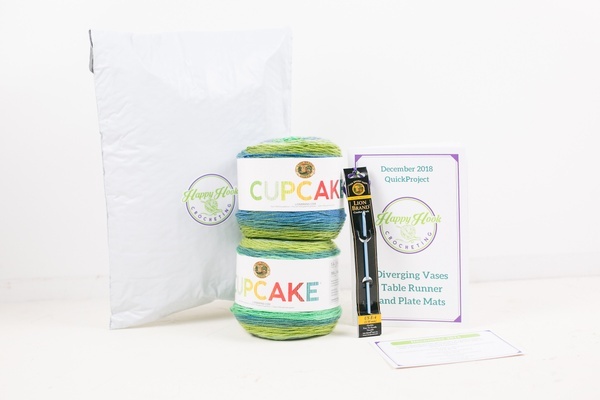 BlanketBox and QuickProjects: Yarn and more! 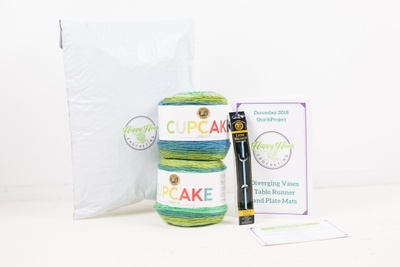 Every box comes with yarn, an exclusive (and different monthly/quarterly) pattern, and a few surprise extras! 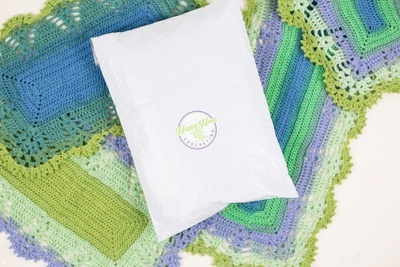 The BlanketBox is perfect for those who love large crocheting projects while the QuickProject box is perfect for trying out different yarns and quicker patterns (or those with a shorter attention span). Exclusive Patterns with all boxes! wish It had been geared towards spring! It has now been a few months since I started receiving this subscription and I wanted to do a follow up review. I'm still extremely happy with this subscription. The products are excellent quality, the instructions are detailed and thorough and the yarn has been incredible. Each package comes with everything you need to complete the project including the hook along with bonus gifts. Furthermore, the instructions book has been updated to include pictures of the completed project. Lastly, they now also include a card with the retail price of each item you receive in the package so you see the actual savings you get by receiving this subscription in lieu of buying everything individually. I'm definitely going to continue getting this subscription. I love everything about it. I also highly recommend it to not just experienced crocheters but also beginners. Just got my first box - thrilled!